The rapid pace of change in society, the economy, and technology has made it difficult for all of us to keep up — let us help you make sense of the latest socioeconomic trends in the Age of Acceleration. This month we continue our discussion about the market and the Federal Reserve’s wishful attempt to separate the discord in society from the current economy, with predictions of continued turmoil and a major market correction yet to come. 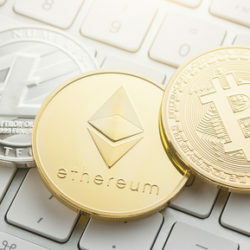 Cryptocurrencies continue to be a very hot topic – Rinaldo explains some of the key differences between the different “coins,” clarifying which ones have a real purpose. Socially Responsible Investing (SRI) has gone mainstream – what is the next frontier for this important effort to align investments with values? We discuss BlackRock CEO Larry Fink’s letter to the business community on the importance of purpose in business.